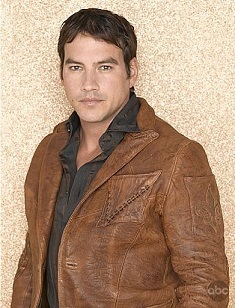 Tyler Christopher (Niklolas Cassadine) is back for good. Soap Opera Digest received confirmation from the actor himself during a recent interview. "I've been on the show for seven years, and I'm still sticking around," he tells In Depth exclusively. "I'd just like to flex my creative muscles and dip my toe in the creative waters but still keep the fires burning at GH. I feel so incredibly lucky to be playing this character, to have created him and to see where the twists and turns of his development take him. Spinelli has plenty of adventures ahead. I'm here, and I hope you will be, too." Meet teen actress Samantha Morgan who is the newest cast member to join General Hospital. Samantha has been cast as Dubois, Felix younger sister who has been added to the teen storyline along with Molly, Rafe and TJ. Hmmm will she be the one to cause Molly to be jealous over TJ even though she has seems have feelings for Rafe? Here is what head-writer Ron Carlivati had to say: “Not everything can be a triangle, so there will be another girl thrown into the mix”. Morgan is no stranger to drama on the small screen with twist, secrets and cliff hangers. The teen recently starred in ABC's "666 Park Avenue" as Nona Clark alongside Vanessa Williams. Morgan first scenes aired on June 4th. - Michael and Kiki finally give in to their attraction to each other, but can they put their romance on the back burner once they realize their family connections? And get ready for fireworks if Morgan finds them out! - Carly is still not off the hook with Sonny for ordering the hit on Franco. Meanwhile, at the hospital, a sudden development in Olivia’s condition has repercussions for both Sonny and Dante. And will Alexis find out about Shawn’s involvement in the shooting? Either way, that’s nothing next to Anna finding out! - Things get complicated when a scheming Taylor tries to turn TJ against Molly. Can TJ and Molly’s connection overcome their obstacles? On the Rafe front, he finally gets some good news this week, followed by some surprising new developments in the conflict between Sam and Silas. - TJ spills to Shawn about his evening with Taylor after seeing Molly and Rafe kissing. Taylor sneaks home – but gets caught by Felix. Britt offers Taylor some advice about how to get a man. - A fed up Sabrina talks Patrick into taking a paternity test to thwart Britt’s charade, but don’t forget – Britt has an ally in Brad in the lab. It’s up to Spinelli and Ellie to intervene! -All that, plus: When Luke invites Tracy to join him at the hospital for his lab tests, she soon discovers he has a trick up his sleeve – again. - Carly takes the blame and faces questioning. - Morgan asks if Kiki wants to make him jealous. - Alexis and Silas argue about Danny's care. - Rafe's custody is decided. - Luke's future looks bleak. - Carly and Shawn receive a shock. - Connie reveals that her feelings for Sonny are still there. - Luke has to face up to death. - Felix opens his big mouth and says more than he should to Britt. - Luke wants Anna's help. - Silas informs Sam of the care that Danny needs. - The father of Britt's baby is announced. - Luke is rushed to the hospital. - Carly tries to ban Morgan from the Quartermaine residence. Here are more pics from the 40th Daytime Emmy Awards with the cast of GH. Above: Chad Duell (Michael), Kristen Alderson ( Kiki/ ex. Starr) and head-writer Ron Carlivati. Two of GH girls Kristen Alderson (Kiki) and Lindsey Morgan (ex. Kristina) present an Daytime Emmy award with B&B Jacqueline MacInnes Wood (Steffy) and Y&R Hunter Haley King (Summer). Kristen Alderson posted some pics on her Facebook page to share. Just before she headed to the 40th Daytime Emmy's, Kristen along with her brother (ex. Matthew OLTV) and co-star/boyfriend Chad Duell. "Look at the beauties at our table!" Former GH star Julie Marie Berman (ex. Lulu Spencer) took home the award for Outstanding Supporting Actress in a Drama Series at the 40th Daytime Emmy Awards. Congrats Julie, what a way to end your almost 8 years with General Hospital. Kristen Alderson wins her 1st Daytime Emmy Award after 15 years of playing Star Manning on One Life to Live and recently General Hospital. The soap star won in the Younger Actress category.